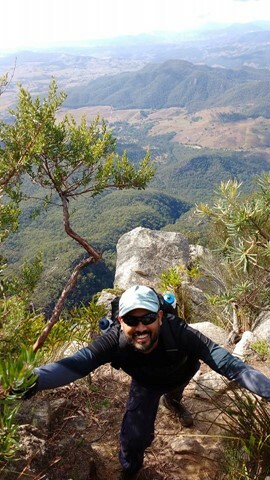 Mt Barney is often viewed as the pinnacle of bushwalking in South-East Queensland. 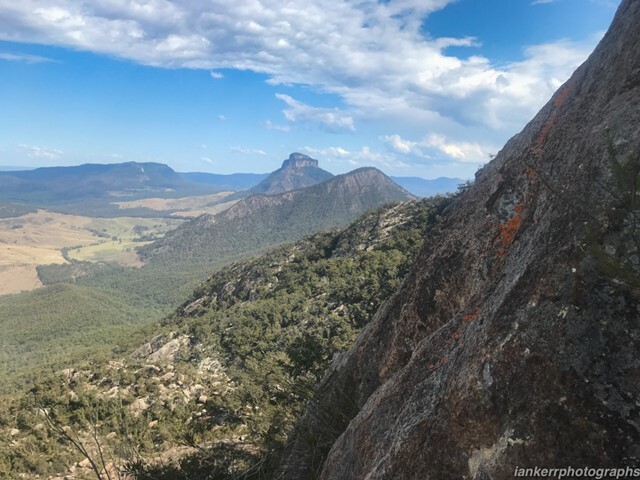 There are so many different ways to ascend the mountain that we've decided to dedicate an entire region with Mt Barney National Park to just this mountain. However, as the signs will warn you, there is NO easy way up Mt Barney. 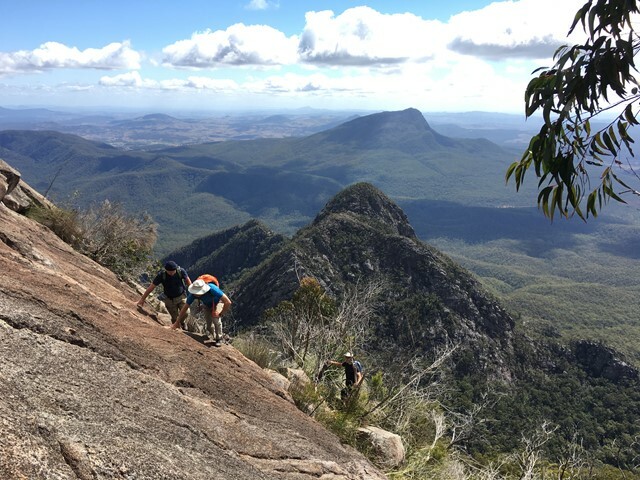 Mt Barney is a very difficult climb and should not be attempted without substantial bushwalking, scrambling and navigation experience. 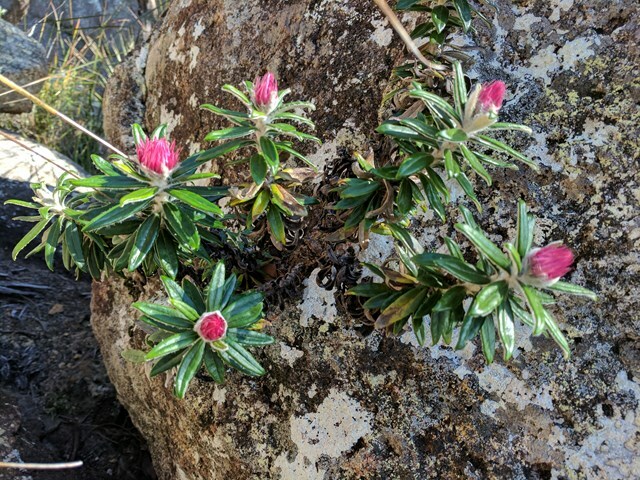 Any climb must start early in the morning and make sure to follow the warnings and guidelines provided by the National Park authorities. There have been numerous rescues and deaths on this mountain. Make sure you do everything you can to not add to the tally. 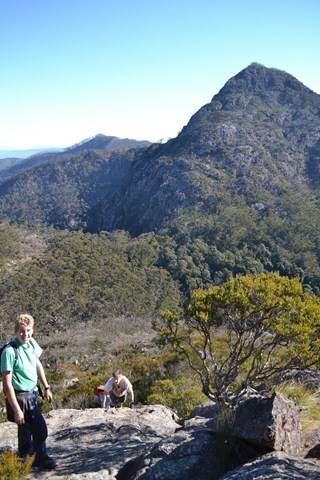 It is highly recommended you do your first walks with others who have already climbed Mt Barney. 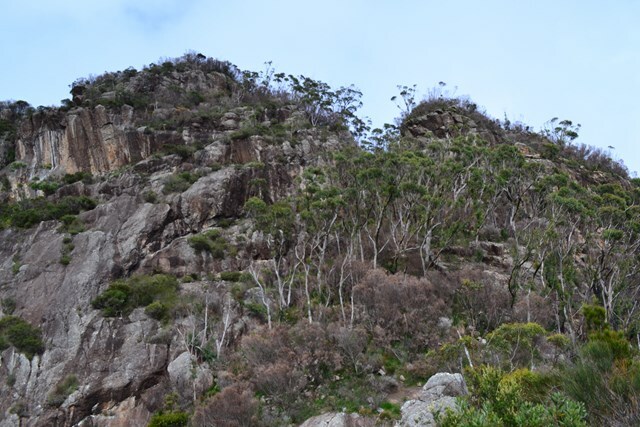 The aboriginal people of the Mt Barney area avoided climbing Mt Barney. They named the peak Bugera-Bugera or Baga-Baga, meaning "keep away". 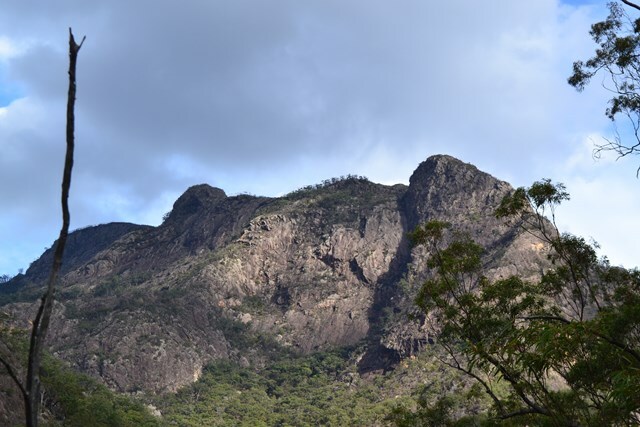 Later European surveyors assigned the Aboriginal names of Booarydin and Yahndaddan to the two peaks of Mt Barney. 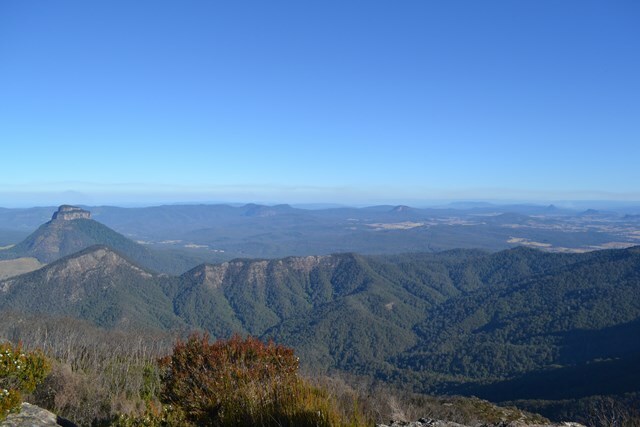 Mt Barney was named after a colonial engineer, George Barney, by Surveyor-General Thomas Mitchell. This was a name change from the original Mt Lindesay assigned by explorer Allan Cunningham. 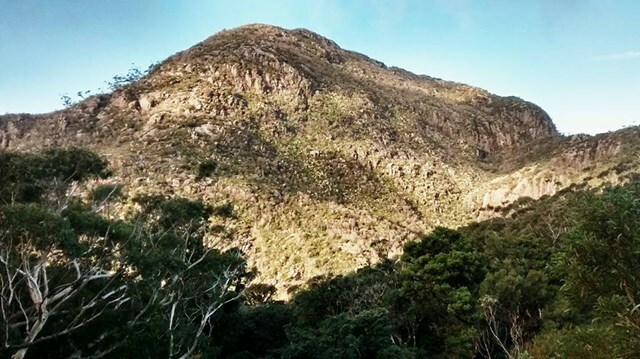 The Mt Lindesay moniker was assigned to another nearby mountain that features prominantly in the view from Mt Barney. 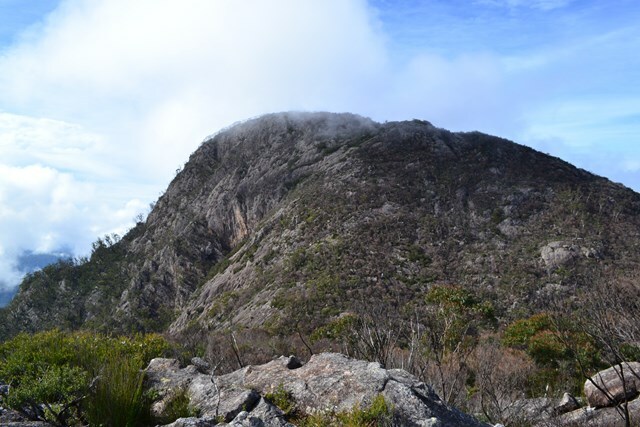 The first European ascent of Mt Barney was made by Patrick Logan via Logan's Ridge in 1828. The expedition included Charles Fraser and Allan Cunningham, but only Logan reached the peak. He had previously attempted to climb the mountain in 1827. Interestingly, Logan mistakenly believed the mountain was Mt Warning as described by Captain James Cook in 1770. 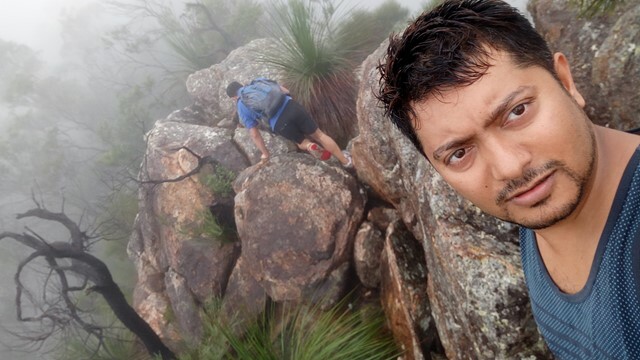 It wasn't until they spied Mt Warning during the climb that Logan accepted his was wrong. 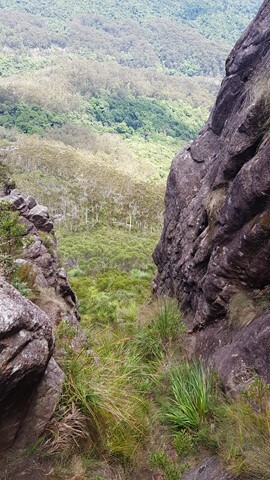 A hut was first built in the saddle between the East and West Peaks of Mt Barney between 1954 and 1959 by members of the University of Queensland Bushwalking and Brisbane Bushwalkers clubs. Over the years three huts were built on the same location however all that remains is a cleared area which may now be used as a camping ground. TODO: Talk about the various routes and peaks on the mountain. 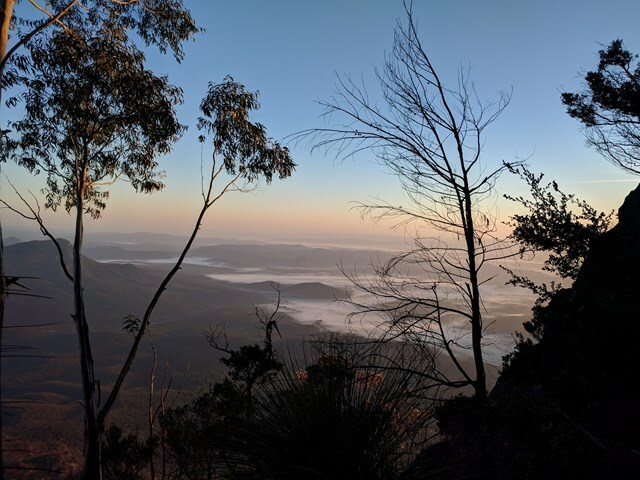 There are multiple National Park campsites in Mt Barney National Park, however they are all "remote" campsites and require walking to reach. 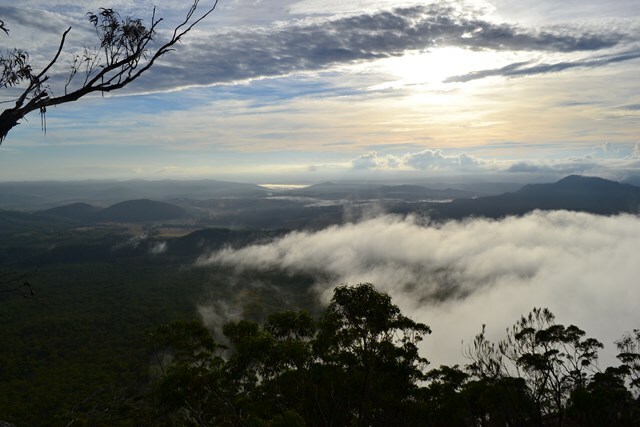 The closest private campground to the mountain is Mt Barney Lodge. 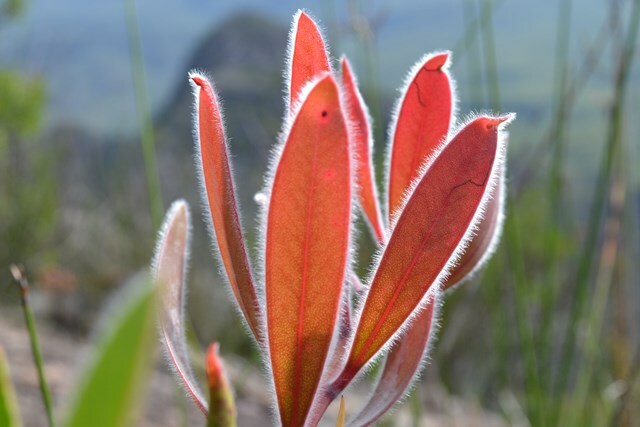 They may also be able to assist with guided walks up Mt Barney. Other nearby private campgrounds include Bigriggen and Flanagan Reserve. The original route taken by Captain Patrick Logan & Allan Cunningham. AC actually gave up leaving Logan to climb on alone. It's the steepest, sharpest most direct route up to East Peak short of needing ropes, harnesses and belays etc. The views are spectacular. 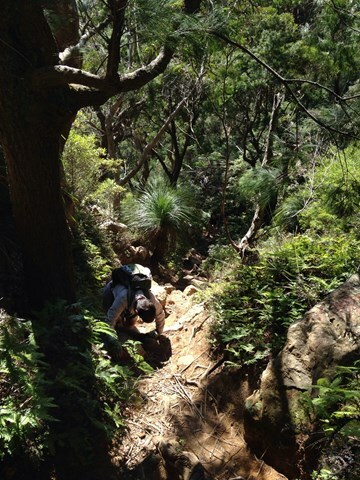 Rock scrambling experience, sound navigational skills and a good head for heights are an absolute must for this walk. NEVER climb it alone. There have been dozens of rescues off this ridge, don't be next. Extensive signage recently installed at Yellow Pinch do not mention Logan's Ridge, for good reason. 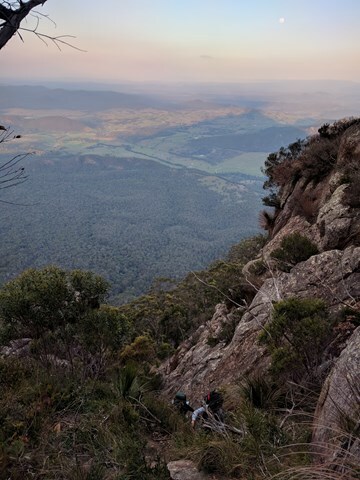 Ascent of Mt Barney via South East Ridge and Descent via Peasants Ridge: a challenging but rewarding hike. The views are amazing and certainly worth the effort. If coming from Brisbane leave early and aim to be at Yellow Pinch carpark by 7:30-8am. Allow 3-4 hours for the ascent via the South East Ridge track and 2-3 hours for decent via South Ridge (Peasants Ridge) track. We did this as a day walk, starting at Yellow Pinch carpark around 7AM and arriving at Lower Portals about 4PM. We were told by a professional guide we bumped into at Yellow Pinch carpark that we wouldn't be able to complete our planned route in 1 day. We completed it easily in about 9 hours and taking plenty of stops, but we're experienced hikers and you need to hold a good pace. Most people would probably prefer to break it up into a 2-day walk. 1. 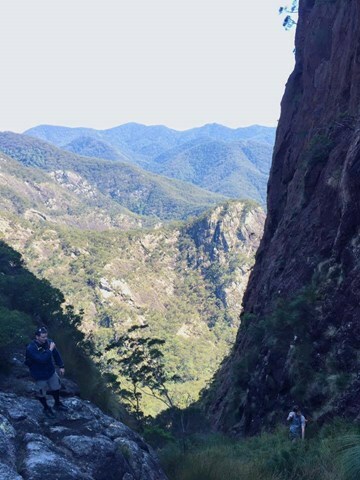 This route starts at Yellow Pinch Carpark but finishes at Lower Portals Carpark, so you either need to pre-arrange a way to get back to your car or you have an extra walk at the end from Lower Portals back to Yellow Pinch. 2. A rope is needed to descend a couple short sections of the couloir on the western side of Leaning Peak. 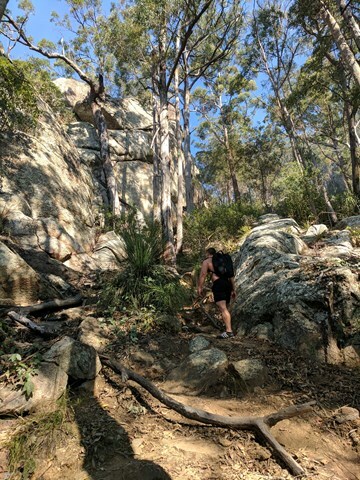 This is a very steep scramble through thick grass and over a few small cliffs, so only attempt if you are comfortable with doing this, as once you pass the first cliff you're pretty much committed to continuing the descent because it's difficult to get back up. This challenging route offers all the views normally associated with a climb up Logan's Ridge without the extremely precipitous sections. There are a few exposed sections where a rope may be handy, particularly if the rock is wet. 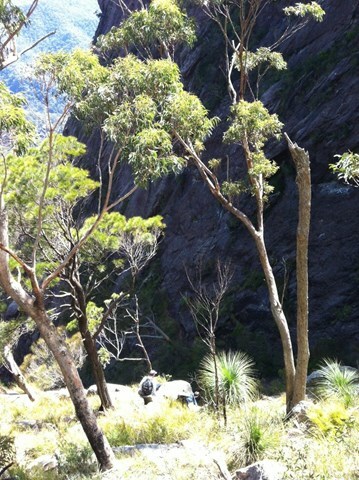 A tough hike in up the Gorge mostly off track with some challenging rock scrambling. 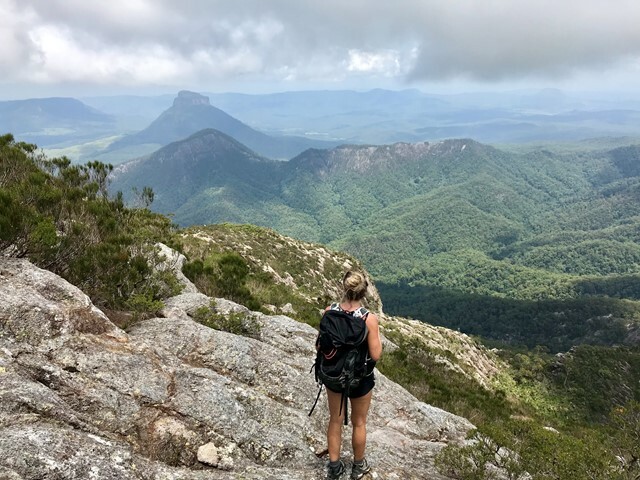 Upon reaching Barney Saddle the trek up West Peak is reasonably challenging and shouldn't be attempted unless you have a head for heights as it is quite steep and exposed in places. 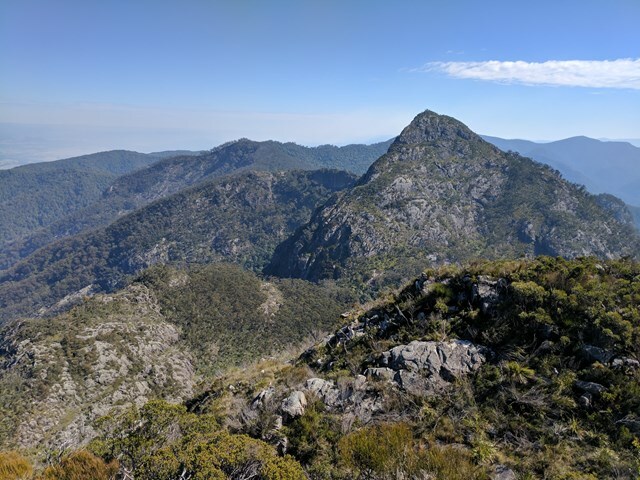 After returning to the saddle if time allows the return trip up East Peak is well worth tackling as the views from the summit are unbeatable on a clear day. The trip down via Peasants Ridge is relatively straight forward but does offer a couple of interesting sections. 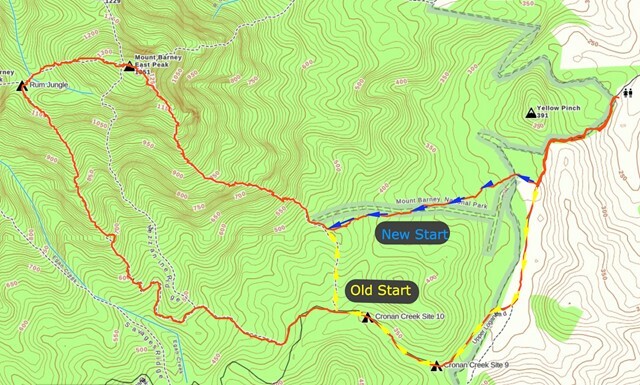 After reaching the car park at Yellow Pinch it is about 6km to the start point by road at Lower Portals Carpark. It is preferable to have organised a car shuffle so as to avoid this at the end of a long day. 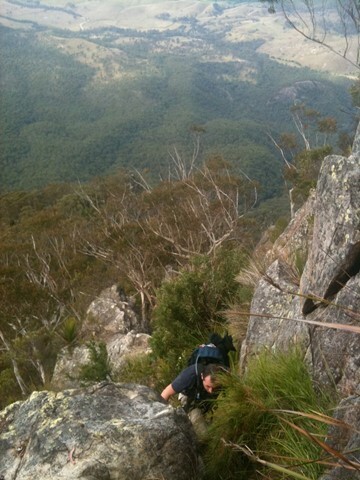 The climb up Logan's Ridge is challenging but offers superb views on a clear day. The first recorded climb was undertaken by Captain Patrick Logan, Charles Fraser and Allan Cunningham in 1828. The climb became too difficult for Fraser and Cunningham who turned back leaving Logan to climb on alone. 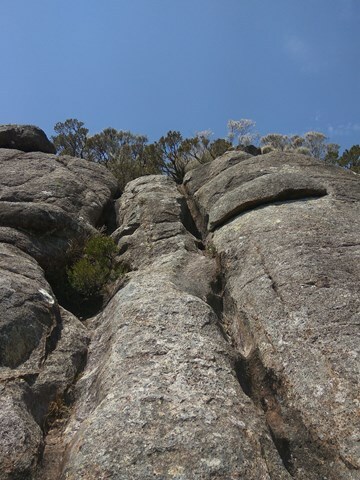 This ascent should not be attempted unless you are an experienced rock scrambler and have a head for heights. Any climb too difficult for Allan Cunningham deserves respect. Straight up the west peak. The track is a goat track at best. There is the occasional piece of tape in a tree. You probably will get lost. But its not that hard to find your way. 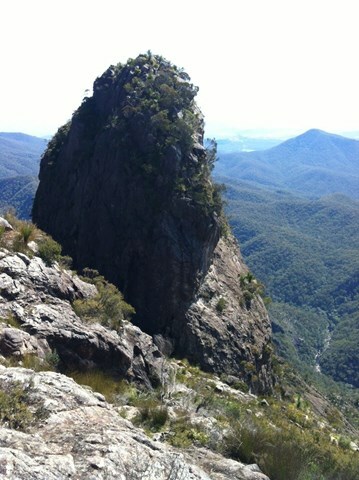 One tip is at the big rock face, aim towards the left end (south but not to south as there is a very big cliff). Also a good idea to take a compass bearing on the way up, as white outs are common up here. 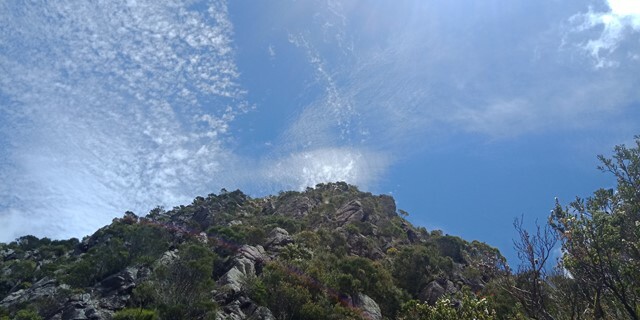 The summit is scrubby, with a pile of rocks to mark the highest spot on Mt Barney (its higher than east peak). 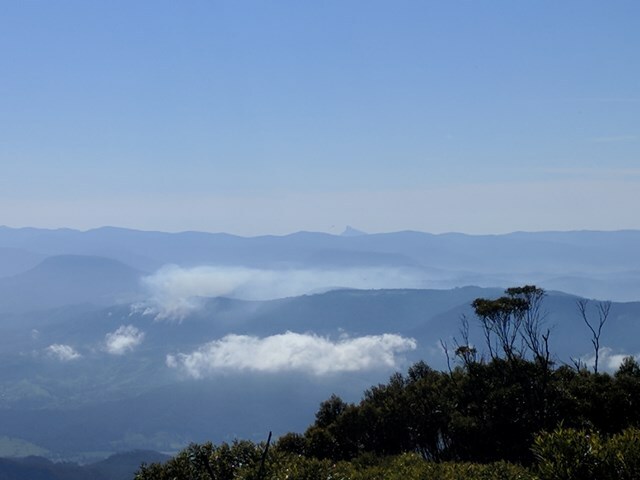 Head to the the northern end of the peak for amazing views to the north and west. Even if you dont intend on climbing the whole way up. 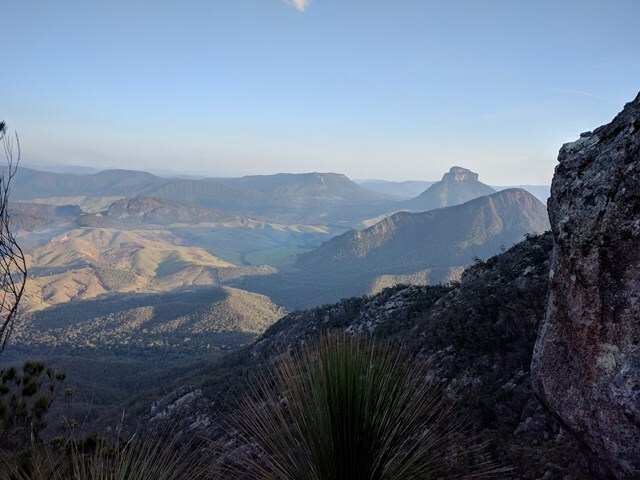 Do yourself a favour and go a little way, as the veiw up East peak is amazing. Totally different aspect of this incredible mountain.